2017 has been a busy year for apps. Estimates suggest that there will have been 197 billion app downloads, and in 2018 there will undoubtedly be even more. But before you pop the bubbly and welcome in the new year, there’s still time to take a look back over 2017 and learn from some of the hits and misses in the world of mobile marketing. Below are 5 of the most inventive and effective uses of apps that we’ve seen this year, each showing that a little creative thinking and a strong foundation of industry know-how go a long way. Chinese messaging app WeChat has over 900 million users, and with increasing numbers of Chinese tourists visiting the United States, that adds up to a huge opportunity to enhance visitors’ experiences. That’s precisely what Destination DC realised too, partnering with WeChat to produce an in-app tour experience that could be a stepping stone to future collaborations outside of Washington DC. The use of messaging apps outstrips even the use of social media apps, and as the recent launch of WeChat’s ‘Mini Programs’ shows, they can be a way of delivering services right where people will use them most. Mini Programs are a range of add-on features that integrate into WeChat, and some of the most useful ones link to offline objects and activities, making it easy for users to engage with the world around them without leaving the app. The main attractions of the DDC Mini Program are the interactive maps which point out places of interest, which are equipped with walking directions and an audio guide in Mandarin, and if users get the urge to tell all their friends where they’re having dinner, the involvement of WeChat means that social sharing is completely integrated. Destination DC have recognised that localization involves more than just translation. Collaborating with a social app that tourists are already familiar with means that users will be more likely to engage with the new feature, and the information being shown can be optimised for the Chinese market, from selecting popular attractions to approaching users in a way they’ll be receptive to. We all know the saying: when life gives you lemons… get those lemons insured, and do it in under five minutes. The plan behind Lemonade is two-fold: use chatbots to do away with lengthy paperwork and phone calls spent on hold, and set a fixed 20% fee on premiums that means the rest can be donated to charity. This isn’t just to give customers a warm feeling inside - the theory is that by choosing a cause to donate to and investing emotionally as well as financially, customers will be discouraged from making false claims. The real selling point for Lemonade, however, is that everything is done in-app. Studies suggest that 89% of mobile media time is spent in apps, and only 11% spent on websites: people expect native experiences that don’t involve trawling through dozens of webpages. A quick chat with one of Lemonade's permanently friendly AI customer assistants, Maya and Jim, is all it takes to get a quote and sign up. Lemonade lets you sign documents in-app, and record and submit a video statement if you need to make a claim. By removing the need to talk with real people (it’s 2017 - who does that any more? ), Lemonade speeds up its processes, reduces its costs, and enables 24/7 on-the-go insurance. Like all great Subway sandwiches, the ‘You’re The Chef’ campaign relies on putting several tried-and-tested elements together to deliver something people actually want to pay money for. Rather than wasting resources on messaging anyone and everyone, Subway used behavioural data to establish a group of regular fast food consumers. The campaign was targeted only to these smartphone users, and the ad was only sent during usual lunch and dinner times. Segmentation? Check. Smart timing? Check. Then comes a great use of geofences. If these users were within 400 meters of a Subway sandwich bar, they would be sent a short video ad and showed the distance to the nearest Subway. If this got their stomach rumbling and they clicked on the call-to-action, the campaign would open up the native map application in their phone and show the route from their location to that store. Although the Subway ad is run on mobile internet, using the map app function not only guides users but also simplifies the process by avoiding Subway having to request additional location permissions. In fact, this whole campaign could easily be run through a single app, using rich push notifications. Compared to the control group of users who weren’t exposed to the campaign, this combination of targeting, geolocation and video advertising resulted in a 46.7% uplift of visits to Subway restaurants, and almost 40% of users were redirected from a competitor to Subway. SUBWAY France - Campagne Mobile-to-store -You’re the Chef from S4M Paris on Vimeo. The Warby Parker app has stellar app store ratings, and aside from a straightforward browsing and buying process (including one-touch Apple Pay), one element that keeps the five star ratings coming is their policy of sending out glasses for people to try before they buy. In a recently-announced development, however, Warby Parker’s new Find My Fit feature can now use iPhone X face recognition technology to suggest frames that will suit your face. Getting users’ spectacle selections right first time (and therefore minimising returns), improves both customer satisfaction and ROI. Haven’t got yourself an iPhone X yet? No worries - Warby Parker have come up with another time-saving, sofa-loving app solution you can try out: the Prescription Checker. The app presents you with a number of sight tests designed to see if your old prescription is still correct. If not, then tough luck because only a human optician can issue you a new one, but if it is, then you’re saved from an unnecessary and expensive trip, and you can get started with trying on those new frames. 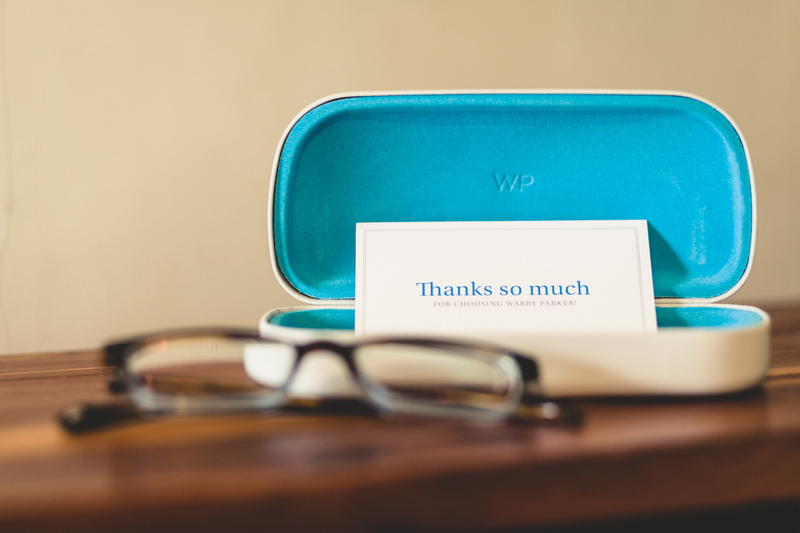 By making their app both a service and a retail app, Warby Parker are making the most of two of the most powerful draws: our love for exciting new tech, and our even stronger love for getting jobs done as easily and instantly as possible. Branching out from the Nike On Demand feature they successfully showcased in 2016, which used Whatsapp to deliver individual workout plans, Nike have expanded the personalised offerings of their app. The On Demand feature was based on the unsurprising but nevertheless true observation that one of the biggest challenges athletes face is maintaining the commitment needed to achieve their goals. Nike, clearly, knows me and my gym ‘habit’ very well. NikePlus membership unlocks several exclusive features on the app, including the general-release version of On Demand. Users can chat to experts about what equipment they need for specific events and sports, and arrange appointments to discuss it further in person. There’s also Priority Access, which uses customer preferences and history to reserve items for each individual user, and QR codes to download for access to exclusive events that suit the user’s habits. Nike’s app is a great example of personalisation done well. All too often, messaging from apps can feel unsolicited and over-the-top; by using customer data to inform those messages, their value to the user is enhanced. The same message about a new release of sneakers could be seen as spam by one user, but directed to the right person it becomes a great opportunity to cut another few seconds of their 10k run time. 'NIKE ON DEMAND; Case Study from C Bradley OBrien on Vimeo.